Powered by a HiSilicon Kirin 960 processor, the Huawei MediaPad M5 Pro also comes with an active stylus and features 4 GB of memory and up to 128 GB of internal storage space. Thanks to these attributes, this slate remains a worthy choice for content creators about one year after its release. This week, it has also been spotted running Android Pie, so a major firmware update should arrive shortly. 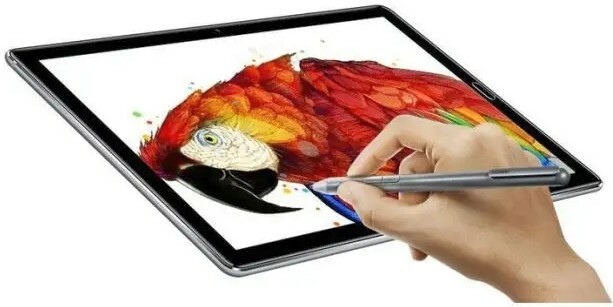 Revealed almost one year ago at the Mobile World Congress trade show in Barcelona, the Huawei MediaPad M5 Pro is a powerful Android tablet targeted at digital artists that comes with an active stylus and sports a HiSilicon Kirin 960 processor. Released with Android 8.0 Oreo firmware, now this slate has just been spotted with Android 9.0 Pie-based software onboard. This Geekbench database entry is the last one for this tablet, but not the only one that shows the Huawei MediaPad M5 Pro running Android 9.0 Pie. In fact, the first one is apparently this January 12-dated entry. None of the new entries seems to come with a noticeable performance improvement over the old ones for the same tablet with Android Oreo onboard, but its users should expect an updated EMUI skin in addition to the Android Pie-specific improvements. If you own a Huawei MediaPad M5 Pro — or more — already, you should get ready for the Android Pie and EMUI 9.0 treatment. Remains to see if this will also come with the inability to use third-party launchers. On the other hand, those still looking for a capable tablet with an active stylus might want to watch the video review below and maybe even give the MediaPad M5 Pro a chance.